Today's high-definition digital audio/video components are capable of delivering incredibly precise signals. The picture you see, the sound you hear - is completely dependent on the quality of the cables used to deliver those signals. 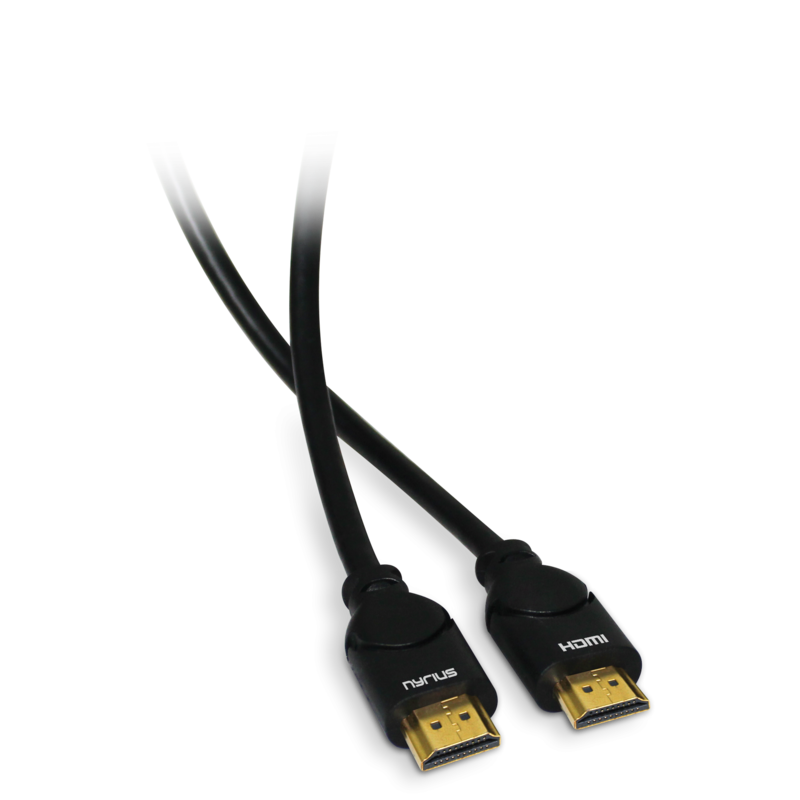 The Nyrius NWHD300 HDMI 6 foot cable is one of the highest-quality cables available, constructed to exacting standards from superior materials. Out of the box cables will not provide the ultimate home theatre audio and video experience. 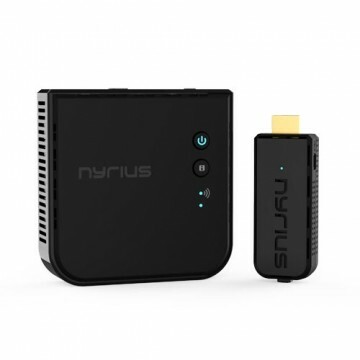 For optimal audio and video, such as true HD Dolby Digital 7.1 and 1080p 3D Blu-rays, the Nyrius HDMI cable is the best solution. It presents true clarity with vivid HD video accompanied by natural sound. The NWHD300 is capable of delivering 1080p resolution, which is the absolute best signal your HD devices can deliver. 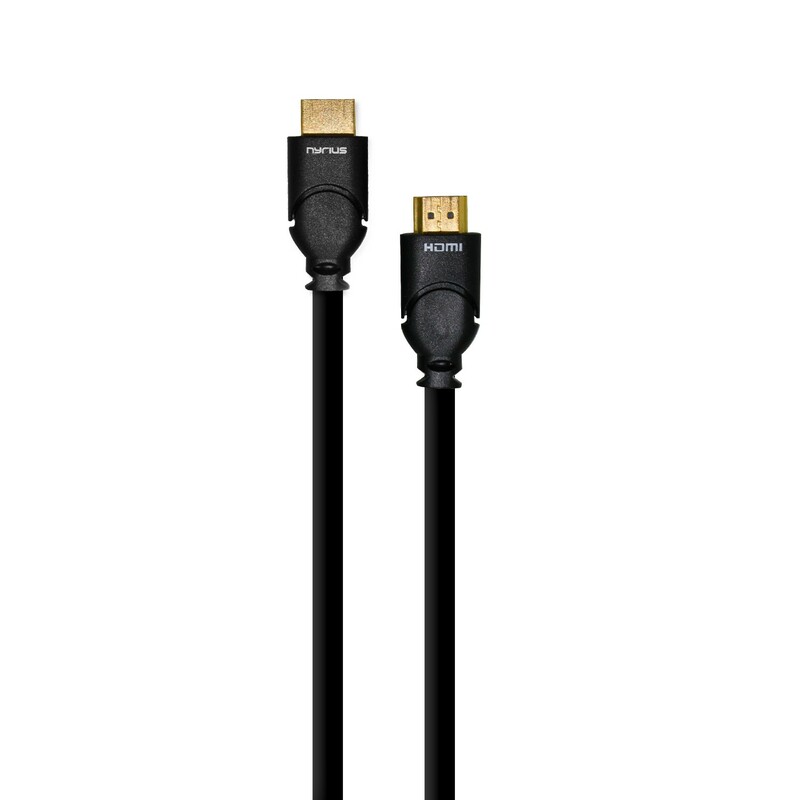 Get the most out of the picture you see and the sound you hear with this high quality HDMI male to male cable. Designed to push your components to peak performance and deliver the best signal they can produce, you'll marvel at the crisp, clear picture and sound that the NWHD300 can provide. It supports standard, enhanced or high-definition high-bandwidth uncompressed video (1080p, 1080i, 720p, 480p, and 480i resolutions), plus multichannel digital audio in a single cable. 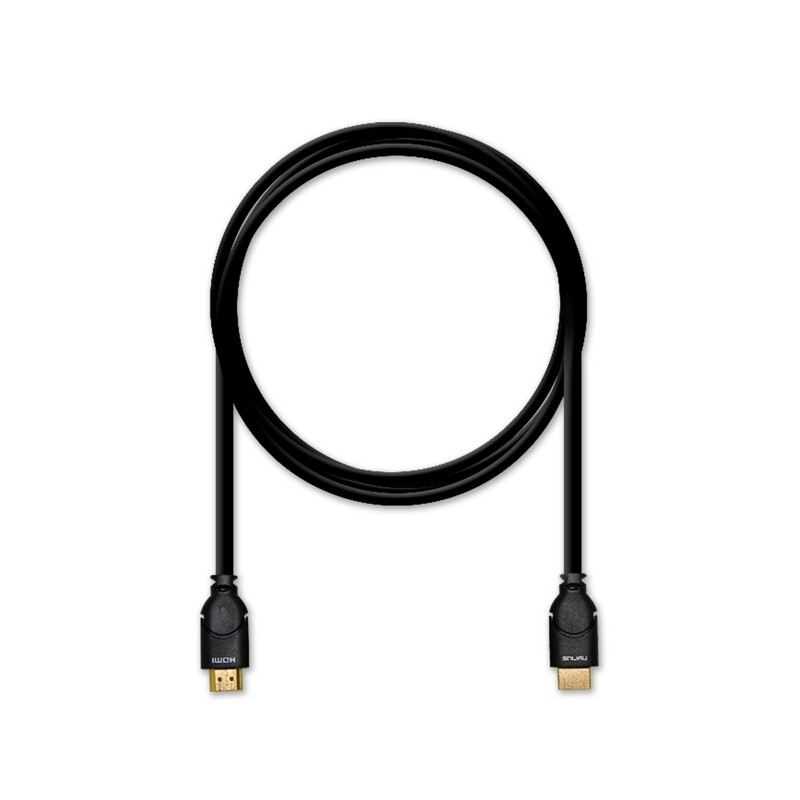 High-Definition Multimedia Interface (HDMI) is the first industry-supported uncompressed audio/video interface. Experience high definition picture and sound like never before with the NWHD300. Enjoy the newest technology the market has to offer. 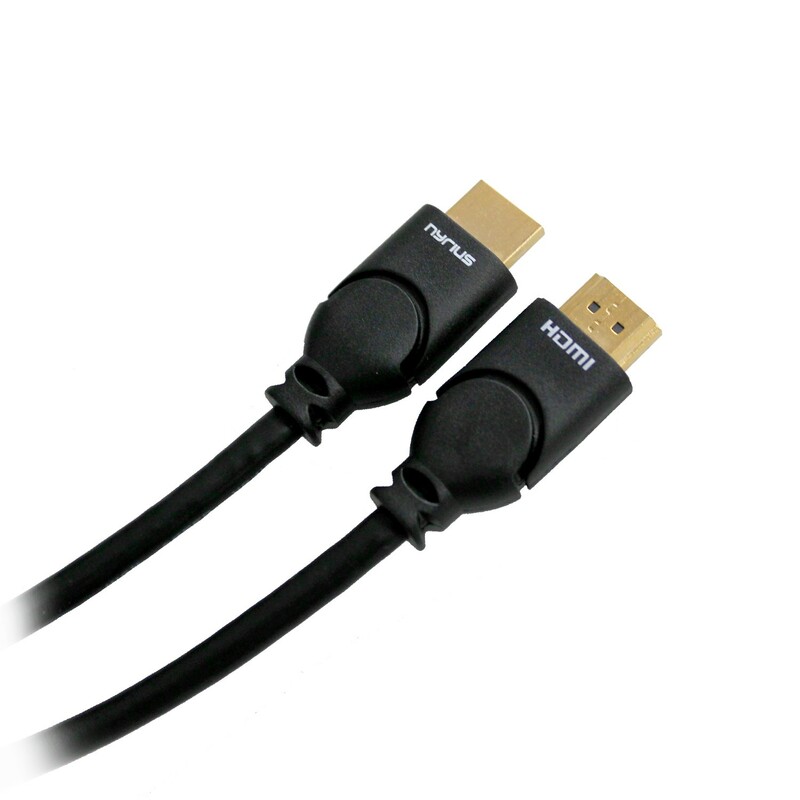 The NWHD300 is HDMI version 1.4. This means it is able to support 3D HDTV. 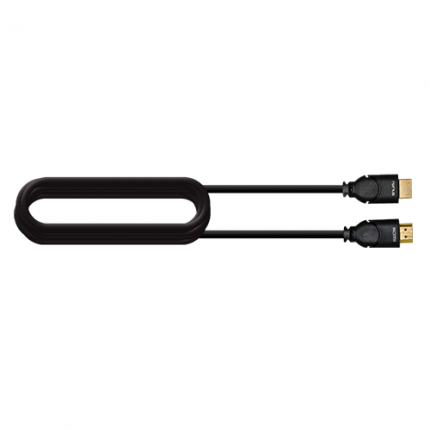 It is also backwards compatible with HDMI 1.3 so all your HD devices will work. 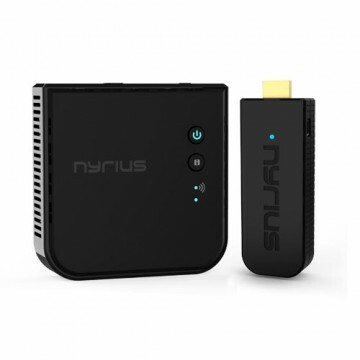 It supports Audio Return Channel (ARC) which sends audio data to the home theater receiver increasing user flexibility and eliminating the need for any separate audio connection. The NWHD300 provides the highest refresh rate of 340Mhz, 48-bit deep color and transfer rates of up to 10.2gbps. Lastly it includes Ethernet capability for sharing internet between HDMI devices. The NWHD300 is incased in a flexible premium PVC jacket which prevents kinking, maintains digital signal integrity and reduces electronic interference. The heavy-duty strain relief helps withstand stress from bending that is often experienced when connecting cables in tight spaces. Also, the connections are gold plated which optimizes conductivity to your HD devices. This results in a pure signal transfer. 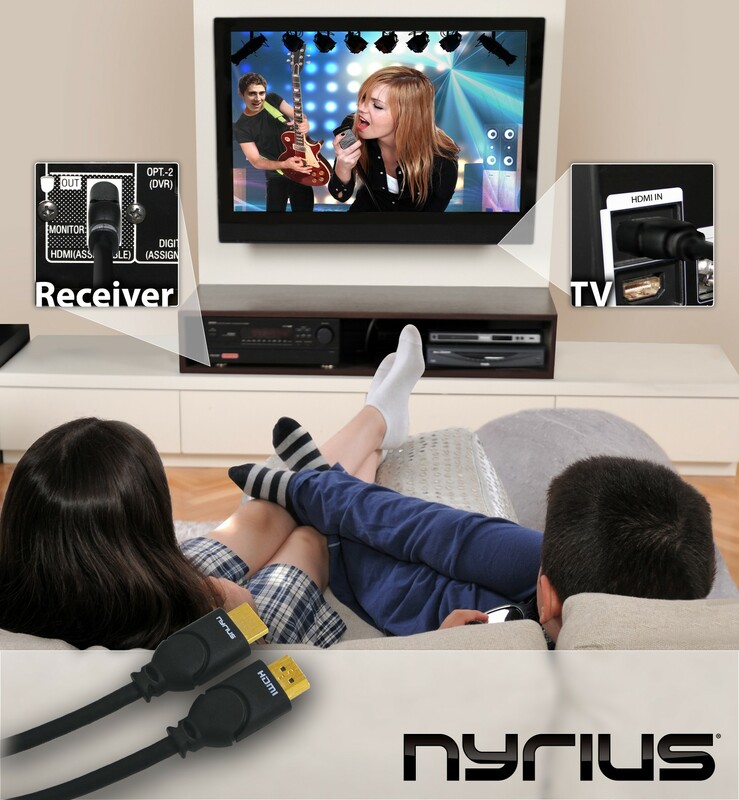 Compatible with: Blu-ray, LED/LCD/plasma HDTV, monitor, projector, satellite & digital TV set-top-box, DVD, Xbox360, PS3, true HD Dolby 7.1, DTS-HD Master Audio, home theater receiver, PC, laptop, HDCP, and any other HDMI device. Worked fine; no issues; clearest picture yet from projector. 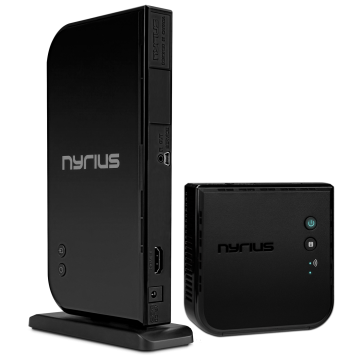 It is great product to transfer video streaming in the house. Even though the wall, there is no issue at all.